​ Inadvertently I am the one who enjoys reading romance more than any genre for that matter when it comes to reading. The story revolves around the protagonist’s called Radhika Mehta who is a hot-shot banker working in the prestigious Investment Bank, Goldman Sachs. Radhika who once was as nerdy as one can be is now arranged to get married to Brijesh Gulati and has just arrived for her destination wedding in Goa. But what Radhika does not know is the fact that marrying Brijesh will not be as easy as she had thought. Things happen and everything goes haywire (I am refraining from disclosing more for the sake of spoilers), but will Radhika be able to maneuver her way out of this mess? Read the book today to know more and discover the fun-filled journey that Radhika will love to take you on. The best part of the book is the fact that Radhika’s journey is as funny and entertaining as a wedding can be.The understandings and misunderstandings, the clash of egos, another romance on the side suddenly turn up to complicate matters whip things up and make it more interesting! I would like to dislocate my share of earful on the story here without further sharing any more details, and trying not to spoil the reader’s eagerness and allowing them to savor the original narration or compelling expression by the writer himself by reading the book itself. Indeed the climax was quite interesting with twists and turns as they unfold. For that, you need to read this book. The positives of the story are the characters easily identifiable. The story is well knit and the way has constructed it, is beyond appreciation. The cover and title of the book are fascinating. The cover page of the book takes you into a stupor and a feeling of positivity engulfs us. The author has done a commendable job of writing in a girl’s voice. The story is told from Radhika’s point and it is really hard to believe that a man could have written so realistically about a woman and her feelings. Characters strike a chord with the modern urban metropolitan readers. The narrative is as easy as ever, the language excellent, without being highbrow. Although the narration of the story is wonderful but the switch over of situations rapidly from present to the past to present and that adds to the pace of the book. The book in its entirety of 272 pages did not appear dull even at a single point. The best part of the book, though, was its climax – it was completely unpredictable and managed to completely surprise me. We all are flawed being and with that comes perfectly imperfect relationships, which we agree or not but somewhere have to acknowledge the fact. No relationship is ‘happily ever after’. But then it’s our individual choice to persevere or not. Overall if asked I would say this is a good book, the perfect accompaniment to anyone interesting in reading on weekend pastime. 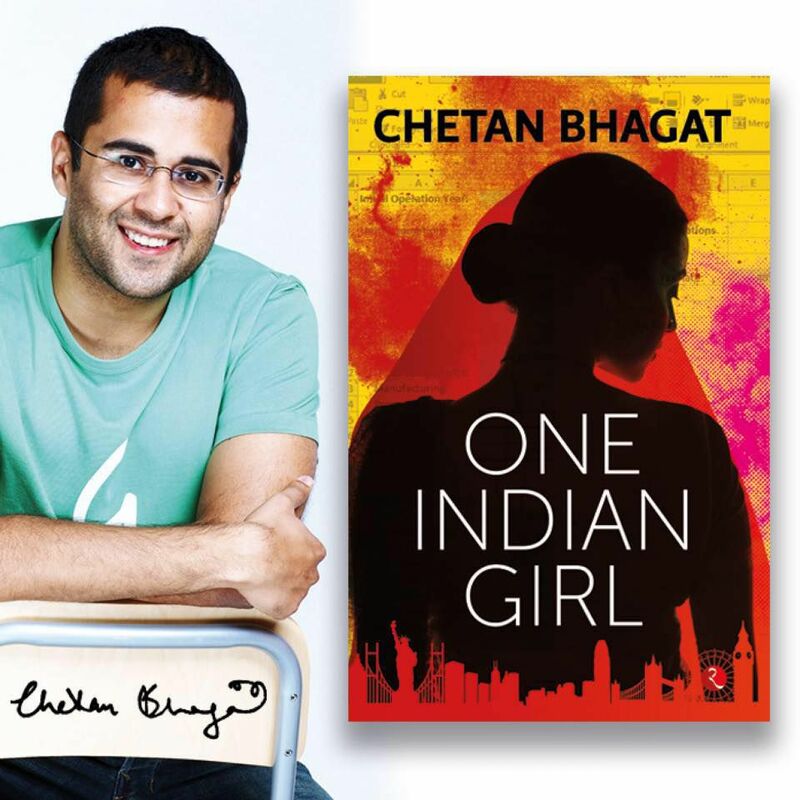 Overall I would say...this is a commendable job done by Author (Chetan Bhagat) … I would give 4.5 stars to this book.